Next up is the young prodigy from Norway, BX3|Phenom. 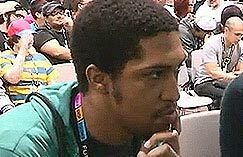 In this interview, he talks about his character selection process, making it work while living in a non-competitive area and how Street Fighter 4 players can adapt to Street Fighter 5. MajinTenshinhan: In Street Fighter 4, you used M. Bison almost exclusively. While you've been sticking with Necalli for most of Street Fighter 5, we have seen you pick M. Bison here and there, and you've even been using Guile from time to time lately. 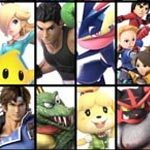 What do you look at in a character, gameplaywise, when you decide to pick them up, and are there any more characters you think we might see you bring out in tournament any time soon? 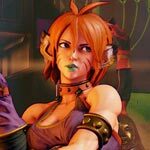 BX3|Phenom: I try to pick a character based on how good I feel they fit the meta. In Season 1, I played M. Bison at first and had success, but he was extremely weak back then, so I started playing my secondary, Necalli, as my main. Right now, I don't feel the need to switch away from Necalli, but I play other characters just for fun, mainly because Necalli is boring. I hope they nerf him so I get forced to switch, but right now, I'm good. MajinTenshinhan: Contrary to most top Street Fighter 5 players, you have very little local competition to practice against. How do you go about leveling up? BX3|Phenom: Basically, I have to use online to play against other European players. What's common in Europe is that you can't always access every matchup at a high level, so for those matchups you need to watch a lot of videos and use training mode to develop a strategy. It involves lots of experimenting while playing other people as well. 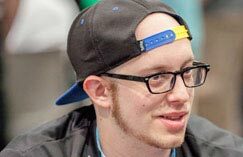 MajinTenshinhan: A big thing that stands out about your playstyle is that you make big, risky moves that tend to work out. How exactly do you go about conditioning your opponents to get caught by your jumpins, DPs, command grabs and such? BX3|Phenom: Hahaha, why would I reveal that? Well, the truth is ... I can see the future. MajinTenshinhan: Regardless of your feelings about Street Fighter 5, you've been very successful in it, and not all top level Street Fighter 4 players have been quite as lucky. What do you think is the most important thing to learn to transition successfully from a different fighting game, such as the Street Fighter 4 series, into Street Fighter 5? BX3|Phenom: I am not that good at explaining these types of things. It's just understanding the differences in how the core gameplay works. For example, the difference in the neutral game. In Street Fighter 5, you have to mostly act pre-emptively, reading how your opponent approaches you and deal with it accordingly. So, yes, knowing when to time your dash, jump, buttons etc. is important. It's mostly based on reading your opponent's rhythm and knowing what options you have to deal with their approach and making the correct read. Basically, Street Fighter 4 was a more reactive game compared to Street Fighter 5, so you could deal wwith a lot of things just by reacting, while Street Fighter 5 has a much more read-based neutral game in comparison. So it's a different style that you have to get used to if you're transitioning from Street Fighter 4. MajinTenshinhan: With Street Fighter 5: Arcade Edition coming early next year, what changes are you hoping this brings to the Street Fighter 5 product? BX3|Phenom: I am hoping a lot of changes happen. First of all, less input delay. It would make dashes and jumps easier to react to. Second of all, extended hurtboxes on every button that needs it (Karin's standing medium kick and Bison's standing heavy punch for example) so that you can whiff-punish better. Nerf overall damage across the cast as well. Buttons canceled into V-Trigger on block should always be minus. This is tricky, but try to fix the priority system so the player needs to earn their damage instead of landing a lucky crush counter in neutral into 50% damage. Also, perhaps add an extra defensive option. I don't have a problem with guessing on defense as long as the defender can be rewarded for making the right guess. Right now, the risk/reward is too much in the attacker's favor. Throw loops, for example, it is such a risk to tech or backdash, but little reward if you guess right. There is no reason for the attacker to stop their pressure unless you have a reversal. BX3|Phenom: I feel I can do well. The competition is so stacked this year, it feels like anyone could win. It will be exciting to see. Maybe I'll play my new character... ? Huge thanks to BX3|Phenom for participating in our interview series and we wish you the best of luck at Capcom Cup 2017. Please look forward to more interviews in the coming days.